Popular Husqvarna pilot maintains top five championship placing. 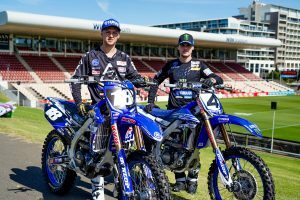 Dean Wilson is anticipating a return to his regular mid-week schedule will offer a boost in his 2019 Monster Energy AMA Supercross Championship campaign. 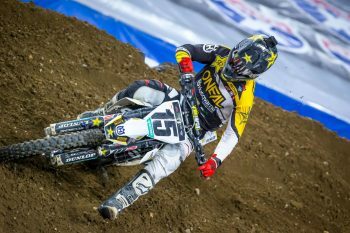 Wilson, who officially returned to the Rockstar Energy Husqvarna Factory Racing squad at Minneapolis last weekend, has had his training schedule hampered by an injury scare at Oakland before poor weather conditions prevented him from riding. Putting an eighth place finish from Saturday night behind him, the popular number 15 is optimistic of improvements as he commences his time back with the factory squad. “The night wasn’t great but not too bad, either,” said Wilson. “I’m not super pumped on it but I came out healthy. I think the past couple weeks of not getting into my normal schedule, due to the rain and resting the week after Oakland because of my knee, definitely had me feeling it and it was a tough Main Event the whole time. 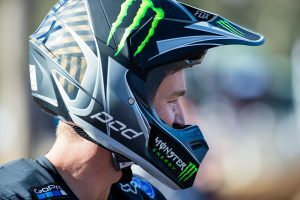 After starting the season as privateer, Wilson sits now sits fifth in the championship standings as the series heads to Arlington in Texas this Saturday night.